Falling asleep isn’t always easy to do. Even when you have a good bedtime routine established and you follow it regularly, sleep can be difficult to find. You toss and you turn, watching the hours pass on by. Eventually, you are able to find some sleep. When you wake up with the alarm clock, however, it feels like you didn’t get any sleep that night. This means you grab some coffee, perhaps an energy drink, and do your best to get through the day. Then the insomnia strikes again that night. If you have difficulties in falling asleep, it could be a symptom of a medical issue that needs to be addressed. Your first step should be to discuss your sleep health with a local medical provider. If there is an underlying medical cause to your insomnia, treating it may resolve your sleep issues. Acute or chronic insomnia can form if you’re up late just 3 nights per week for about a month. More than 30% of Americans currently suffer from some form of insomnia and this rate is similar throughout Europe, Asia, and Australia. Here are some ideas that can be used with a treatment plan or on your own to help you fall asleep easier as well. For many people, insomnia is caused by an imbalance of some sort. It may be an anxiety imbalance, a chemical imbalance, or a stress imbalance. 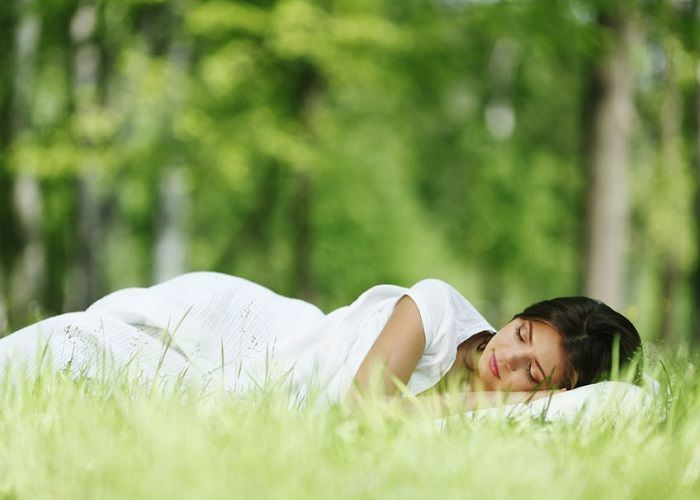 Restoring the balance in one’s life allows for a restoration of healthy sleep. That is why there are many herbal potions and supplements that can help you to fall asleep easier. Lavender is one of the best options that can be used, especially if you find yourself suffering from an occasional bout of insomnia. This woody shrub helps to promote relaxation when it is available. You can place lavender essential oil into an infuser, spray a lavender mist on your bed before lying down, or brew yourself a cup of lavender tea. The benefits are all similar. Stress, anxiety, and even some of the symptoms of depression can be relieved, which promotes an easier way to fall asleep. 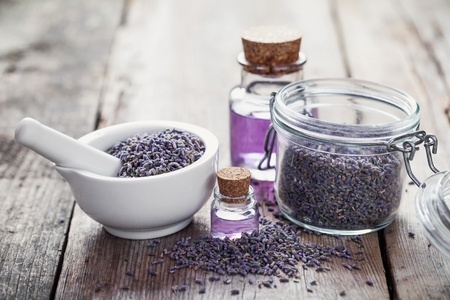 Here are 13 Surprising Benefits of Lavender Essential Oil to consider as well. If you are struggling with chronic insomnia, then another option to consider would be Valerian. This herbal supplement comes from the root of a perennial flower. When taken regularly, it can help to reduce the amount of time that it takes to get to sleep. It will also potentially increase the quality and quantity of sleep that is received. When taking Valerian in a capsule form, it is usually necessary to take the supplement in its recommended dose about 60 minutes before bedtime. Then, if you wake up at night, you can take another dose to return to sleep. You can also purchase Valerian in a powdered form. Combining Valerian root powder, passionflower powder, and vodka is a common recipe to help get some sleep when insomnia appears in an acute form. As with any herbal potion or supplement, it only takes about 3 weeks for your body to get used to the benefits that are provided. Continuing to use the supplement for a longer period of time may not be as effective. The natural rhythms of the human body have us geared toward being awake during the day and being asleep at night. That is why you may feel tired if you wake up early in the morning, when it is still dark outside, even if you’ve gotten 6-8 hours of sleep. Then, when the sun comes up, you feel more awake and ready to conquer the challenges of the day. Any light pollution has the potential to disrupt the natural biological clock. It makes the brain believe that daylight hours are still available, so melatonin production is reduced. Sunlight doesn’t have to be the cause of light pollution to trick the pineal gland into not performing its bedtime function. Just having a light on in the room where sleep is to occur can be enough to disrupt a person’s sleep cycle. It is enough to reduce the amount of melatonin production by up to 50%. In return, less sleep is obtained each night. The lack of sleep and melatonin can weaken the immune system. It leads to forgetfulness and, over time, a higher risk of serious health issues. Creating a sleep haven for your bedroom means turning off all the lights. Have as much darkness as you can without creating a safety hazard. It is also helpful to hide any digital clocks or glowing electronic items from view. If you need a night light for some reason, place it in the bathroom or hallway and then close your door to it. Some bedrooms have extensive windows which invite moonlight or street lights into the environment. These are also disruptive to sleep. 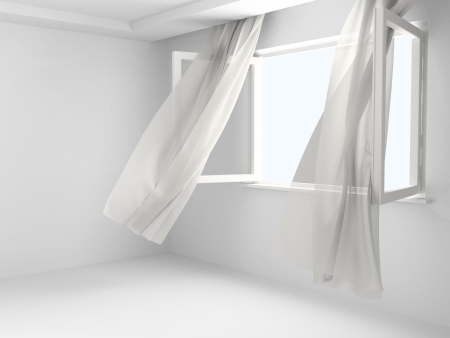 Installing a heavy curtain or using effective blinds can stop this source of light pollution rather effectively. A comfortable sleeping mask that blocks light may also be beneficial. A common recommendation for those who struggle to get to sleep is to use progressive muscle relaxation. It was first developed in 1915 as a process to relax through the purposeful tensing and relaxation of every muscle in the body. Not only does a regular sleep pattern become established when this option is utilized on a regular basis, but it can also lower your blood pressure. It provides a barrier against anxiety. People also tend to have less daily muscle tension and lower levels of fatigue. How does this help with sleep? The process of relaxation stops racing thoughts because the practice of progressive muscle relaxation requires a focus on the exercise. As the body physically relaxes, sleep is then encouraged. If you suffer from a condition that causes chronic pain, then this option for better sleep might not be the first option to choose. Tensing a muscle with chronic pain issues can promote insomnia instead of decreasing it. It only takes 10-15 minutes to complete a progressive muscle relaxation routine. This script can help you to become familiar with this option to see if it could be right for you. The issue with meditation is that it tends to provide more wakefulness. Actively meditating before bed can actually cause insomnia. The processes which are often used to promote a state of meditation, however, can also be used to promote a state of sleep. This includes deep breathing exercises. One of the most common breathing options that promotes better sleep is called the 4-7-8 Breathing Exercise. Additional breathing exercises are also known to help people fall asleep easier and faster. Breathing through the nose instead of the mouth naturally relaxes the body. Try to take a series of 4 deep breaths through the nose, then expel them through the mouth. This will stimulate the parasympathetic nervous system, inducing a feeling of relaxation. 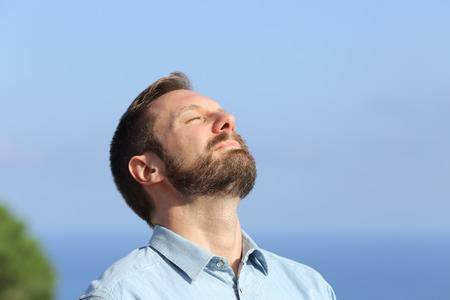 Breathing through the nose also filters the air and adds moisture to the breath before it enters the lungs, reducing feelings of irritation. It can also be helpful to practice visualization while performing a breathing exercise. Lie down on your back, relaxing your arms so that they lie gently at your side. Take a full, deep breath through the nose and hold it for at least 3 seconds. Then release the breath through the mouth. As you do this, imagine that the pull of the Earth has increased just a little, pulling you deeper into your mattress or bed. Focus only on the breath. Feel the heaviness of your limbs. Each breath makes you feel like you’re being pulled deeper into your bed. Don’t fight the feeling of drifting off to sleep if it should occur. Keep breathing until you fall asleep. Sometimes you may have some congestion in your air passageways due to allergies, a cold, or some other issue. In this instance, try lying on your side and breathing only through your mouth instead of forcing air through the congestion of your nose and sinuses. If you use CPAP therapy, this breathing exercise will still work. For those who are congested, you may still struggle to fall asleep if you have taken a medication which contains pseudoephedrine, such as Sudafed. For some people, the medication acts as a stimulant, so falling asleep becomes a struggle until the medication is flushed out or used by the body. How you see your bedroom can dramatically affect how much sleep you are able to get each night. If you are using your bedroom as an office, a family entertainment room, or for some other purpose, it can be difficult to transition to a mindset that is accepting of sleep. This is because when your bedroom is used for different activities than sleep, just the act of entering the bedroom is enough to wake up the mind. Certain activities that are often included in the bedroom are even known to disrupt sleep cycles. Watching TV before bed, for example is known to change sleep patterns. Using a tablet or computer to watch television shows or movies does not improve this disruption. A sleep timer can be helpful to prevent premature waking when falling asleep with the TV on, but it does not alter the risk of disrupted sleep. Watching the television isn’t always because of a temptation to be entertained. Many people fall asleep every night with their TV or tablet on because it helps to quiet their mind. In an environment that is dark and quiet, some people have racing thoughts that can be very difficult to control. In this circumstance, listening to a radio program is a better alternative than turning on a TV show to watch. An even better solution would be to consider the benefits of meditation to quiet the mind. If your bedroom is your go-to room for everything, make the change today. Let it be your go-to room for sleep and intimate activities only and it may just improve the quality and quantity of sleep you receive. Can a hot bath before bedtime help you to fall asleep easier? It works because the warmth of the water helps the muscles to relax. The increased temperature also helps promote a stronger bloodflow, which supports an internal body temperature increase. After the bath, when you immediately cool down, it promotes an enhanced relaxation effect on the body. This also promotes an easier way to get to sleep and then stay asleep at night. In order for a hot bath to be beneficial, it should be taken within an hour or two of when you plan to go to bed. Sometimes a shower will also work. The trick to having a shower provide the same relaxing benefit as a bath is to limit body movements. If you can sit down in the shower, then the benefits are similar. Even standing still by resting against the side of the shower can be helpful. Showers are also an excellent place for meditation if you have enough space. A few minutes of meditation, combined with the temperature changes that occur, can be useful in promoting a relaxed state. That relaxation will then promote better sleep when it is time for you to lie down and close your eyes. One benefit that hot bath provides for sleep is the ability to infuse some aromatherapy into the environment. Several different essential oils can be added to the bath to promote sleep. Everyone is a little different, so some trial and error may be necessary to find the best option to promote sleep. Lavender oils are very popular, as is marjoram. Vetiver, Ylang Ylang, Bergamot, and Sandalwood also help to promote sleep, reduce stress, and relieve anxiety. Does warm milk make it possible to fall asleep faster and easier? Yes. It’s not because milk contains tryptophan, which is blamed for the sleepiness you feel when you eat a bunch of turkey on Thanksgiving. Tryptophan, in fact, only enhances the process of falling asleep in some individuals. REM sleep can actually be damaged with it, especially when tryptophan is being taken as a supplement for sleep. The real benefit that is received from warm milk is the low levels of melatonin that it tends to have. People tend to begin secreting melatonin about 2 hours before their regular bedtime. During the day, melatonin is virtually non-existent. 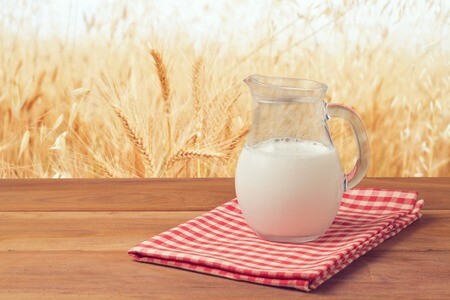 For those who have melatonin or tryptophan deficits, warm milk can help to reduce the deficit to make sleep easier. These deficits are quite rare, however, so it won’t help the average person. Where warm milk does help the average person sleep better is through the establishment of a routine. It may also have a certain level of psychological significance. When a glass of warm milk recalls pleasant memories, the body naturally begins to relax. Sleep is also encouraged when the same routine is followed each night at the same time. Predictability matters for better sleep. If you read a book for a little while, have a glass of warm milk, then brush your teeth as you get ready to lie down, then you’ll be in a better position to get the sleep you need. Warm milk is also useful as a disruption, stopping the mind from having disruptive racing thoughts. By focusing on making the milk, the mind can let go of its other concerns and begin the process of getting to sleep. Did you know that the foods you eat offer the potential of decreasing the amount of time it takes for you to get to sleep? Dietary carbohydrate intake has been shown to increase the plasma concentrations of serotonin through the promotion of higher levels of tryptophan. Foods that have high levels of carbohydrates tend to provide the best results in this area. There is an “eater beware” to this benefit. Eating carbohydrates too late will still promote sleep, but it will also increase the risk of weight gain. The reason why this option works is because the carbohydrates will create a higher level of insulin production. The insulin spike, created by the carbs, will make you feel tired and sluggish. This slows the body down, which helps to make it ready to get some sleep. Eating a high-protein breakfast to compliment a higher carbohydrate intake at dinner tends to provide the best results for those who are trying to fall asleep faster. As an added benefit, the insulin spikes that occur can even reset the circadian rhythms each person experiences. If you happen to fly somewhere to a time zone that is quite different than your own, using this method can decrease the amount of time it takes to adjust to the new time. The opposite effect occurs if you eat too few carbs when having dinner. If you are restricting carbohydrates, then you are limiting the amount of insulin that will be released. This can actually promote wakefulness. If you want to get up early on a regular basis, but be able to get a good night of sleep, then eat foods at dinner that are rich in carbohydrates. 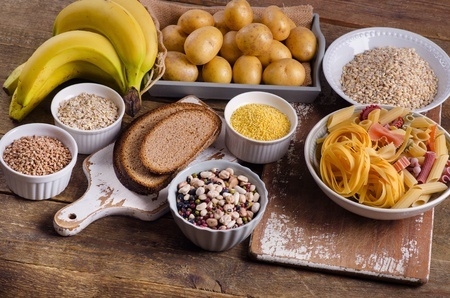 Complex carbs tend to be the best. This means including foods like sweet potatoes, white potatoes with the skin, whole-wheat bread, and brown rice at dinner can help you get into your bedtime routine with greater regularity. Certain types of music are known to help you sleep better. The reasons why music does help you get to sleep easier are not known, but it does help to relax the body and trigger endorphin production. The only problem with using music to fall asleep is that it requires the establishment of a new habit. Most people do not see results from using music for 14-21 days after trying it. Because the first few days of using music can be difficult and even make it feel like less sleep is being obtained, it is pretty common to give up on this option for sleep health. Certain songs are better at inducing faster and better sleep than others. 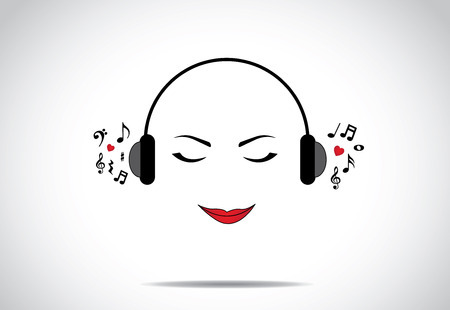 Music with a slow rhythm, typically between 60-80 beats per minute, will help to produce the relaxation that is needed. Modern pop music doesn’t usually have this required tempo, but folk, jazz, and classical music will commonly offer selections that can be beneficial. 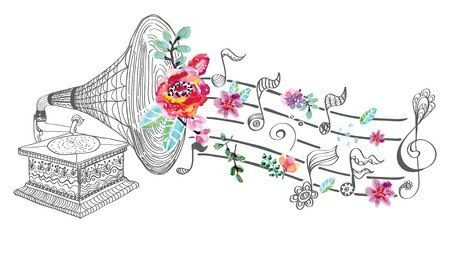 Instrumental music also tends to be better than other forms of music because it prevents the mind from silently singing along with the various songs that can come on. Everyone in every age group can benefit from having some music in the bedroom. From toddlers to the elderly, sleep quality and quantity improves. Even trying to take a nap becomes easier to do when there is some music playing in the background. The Huffington Post offers the 10 Best Songs to Help You Fall Asleep Faster, which may help you begin the process of starting this new habit. If you are having trouble falling asleep on a regular basis, it could be because of your afternoon habits. The effects of caffeine are known to be very disruptive when it comes to sleep. In some individuals, the half-life of caffeine can be up to 12 hours. This means having a cup of coffee at lunch could encourage your body to want to stay awake until midnight. If you need to be awake by 6am, then it can be difficult to get the right amount of sleep that night. The average cup of coffee has about 100mg of caffeine in it if you’re brewing it at home. Go to your local coffee shop and you will find 300-500mg of caffeine, which is effective at sustaining sleep restriction and deprivation. Some energy drinks, such as the Wired X344, can provide someone with over 1,000mg of caffeine if they consume 3 of them over the course of a single day. 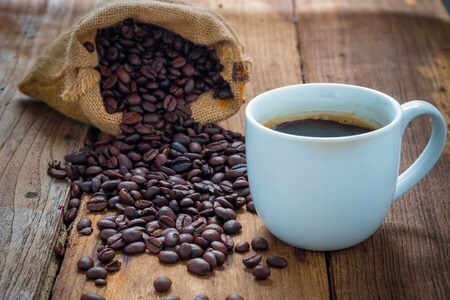 Not only does high-dose caffeine consumption disrupt sleep for long periods of time, but it also is responsible for an increase in emergency room visits for cardiovascular health concerns. Up to 90% of people who have access to caffeinated products will consume them in the afternoon. 68% of people will consume at least one caffeinated beverage or product after 6pm. With caffeine content levels rising in foods and beverages, the average person is consuming up to 500mg of this stimulant every day. Not only should caffeine be avoided near bedtime to make it easier to fall asleep, it should be avoided after lunch whenever possible. Although the half-life is variable per individual, with some people able to metabolize high doses in 4 hours or less, the average person will have a reduced total sleep time of up to 30 minutes for every 100mg of caffeine that is consumed within 3 hours of their regular bedtime. If you need some wake-up juice, then grab some coffee. If you grow tired in the afternoon at work, look for a different option to keep your eyes open. By avoiding caffeine in the afternoon or evening, you’ll help to set the stage for a better night of sleep. Music can be helpful to get to sleep. What would happen if you combined the sounds of nature, music, and beat patterns with isochronic tones and brainwave tuning? You’d also gain access to a very useful tool that could help you to get high quality sleep on a regular basis. There are at least two good programs available right now that are helpful when acute insomnia strikes. Sleep Salon by Inspire3 and Deep Delta by iAwake. You can also check these two recordings: Subliminal Guru and Hypnosis Live. Instead of staring up at your ceiling or staring at your alarm clock, listening to an MP3 or CD from these programs can help to positively influence your brainwave patterns. This is because the audio is designed to transition the brain from alpha wave production to delta wave production. Unlike other programs like this, there is no need to wear headphones as you listen to the audio. This limits the disruptions that occur with sleep movements and cause premature waking, allowing the brainwave entrainment products to work as effectively as possible. All you need to do is start the audio. There’s a good chance you’ll be asleep before the end of the program. 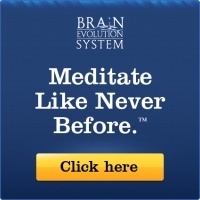 Because brainwave entrainment has varying levels of effectiveness due to the individual nature of humanity, there is the possibility that this solution may not promote a way to fall asleep faster. Remember how a warm bath creates a cooling effect that promotes sleep? Having a bedroom that is cooler than the rest of the house can provide the same effect. Dozing off to sleep becomes easier if your bedroom can be 10F degrees cooler than the regular daytime temperature. It’s a little different for everyone, but better sleep does tend to occur whenever temperatures are 70F degrees or lower. On a hot day, this temperature goal can be difficult to obtain. You may wish to choose a ceiling fan, box fan, or air conditioning unit that can lower the temperature for you. Running these items during sleep can be disruptive, so work on lowering the temperature an hour or two before it is time to start your bedtime routine for best results. Getting a good night of rest shouldn’t be a problem you face on a daily basis. It should be easy to get to sleep. Unfortunately, that isn’t always the case. An acute case of insomnia can quickly become a chronic lack of sleep when it occurs 3-4 times per week for about a month. Instead of allowing that to happen, implement a strategy to help you fall asleep easier every night starting tonight. These tips are a great place to get started. Use the options that will meet your needs and start the process of getting a good night of sleep every night once again. Do you struggle with insomnia or poor-quality sleep? What are some methods that you have successfully used to help you get to sleep easier? ​If you have problems with sleep, you may also try: Claridream Deep, Sleep Salon or Sound Asleep. Essential Oils – How Do Different Scents Affect Your Energy Levels? I’ve added your post to my ‘sleep’ files. Grateful. Thank you.